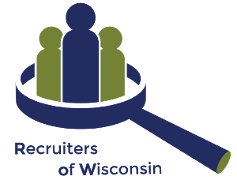 WHO: Recruiters Of Wisconsin IS PROUD TO BRING BACK … Greg Doersching! CONTENT: So You Want to Be Treated Different – then you have to BE different! This session will focus on how to truly differentiate yourself from other Recruiters to both Candidates and Clients – Doersching will share with you 10 specific things to do to effectively differentiate yourself from the pack and win better clients, better fees, better searches and better results. Don’t miss this day! 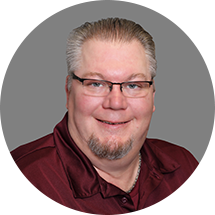 Greg Doersching is Creator and Owner of Bullseye Recruiting – one of the most comprehensive Recruiting Training programs in the country. He is also the President of the Griffin Search Group a National Search Firm working throughout the United States. He is an active recruiter who still runs a highly productive desk. Day to day he is in the trenches just like the rest of us. For over 20 years Greg has been recognized as one of the most cutting edge voices in the recruiting industry. He is an International Trainer and has presented hundreds of workshops and Keynote Addresses for the National Association of Personnel Services, American Staffing Association and the Association of Canadian Search, Employment and Staffing Services, Fordyce Forum and numerous Regional, State and Local groups. He is consistently rated as one of the top presenters for each conference. After paying by PayPal, please email Patrick@alliancestaff.com with your company name and names of the attendees so that we may prepare name tags. If you would like, you may also pay by check. Please make checks payable to ROW and submit at the door or mail to: Bill Mitton, C/O ROW Treasurer, 553 S. Industrial Drive, Hartland, WI 53029.